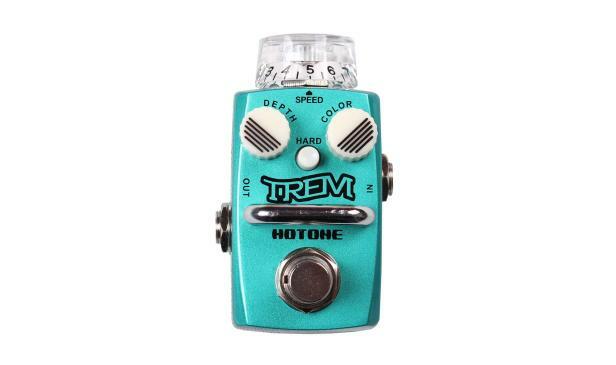 TREM optical tremolo pedal will deliver pulsating guitar tone. It has a great range of tone character adjustment from vintage optical tremelo sound to a modern stutter tone feature. Whether it is surf you are after or something a little scarier, TREM will give you the lush, liquid waves you’re looking for. You can obtain any pulsing guitar tone you want through this little secret box! 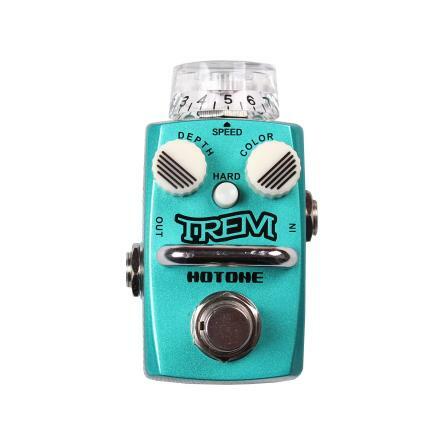 Trem has a classic tone of photoelectric tremolo, wide range adjustability and a smooth and well-proportioned pulsing character. Inspired by the legendary Fender Twin Amp, special circuit design ensures the consistency of output volume at different speeds. An additional EQ circuit offers more options for sound decoration.